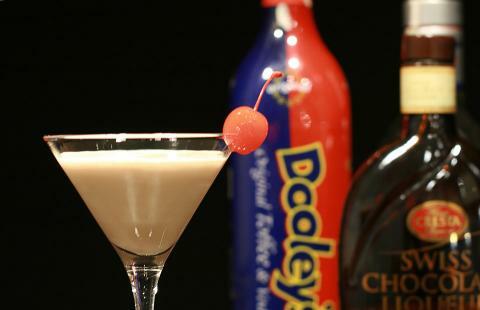 Posted on November 29, 2007 November 29, 2007 by Pavel Y.
DOOLEY`S is a very delicious toffee cream liqueur. Today I prepare one of my favorite after dinner cocktail with this liqueur. I am appreciate Darcy for recipe. Shake. Cocktail glass with a maraschino cherry on the rim.